Decimal Lab : Text : Are Focals the Smart Glasses You'll Finally Want to Wear? Shortly after Stephen Lake's startup Thalmic Labs announced Myo, a gesture-control armband, in 2013, he and his co-founders, Matt Bailey and Aaron Grant, began to mess around with an early version of Google Glass. They tried pairing the smart glasses with the armband, seeing if there was a way to make the two work in concert. 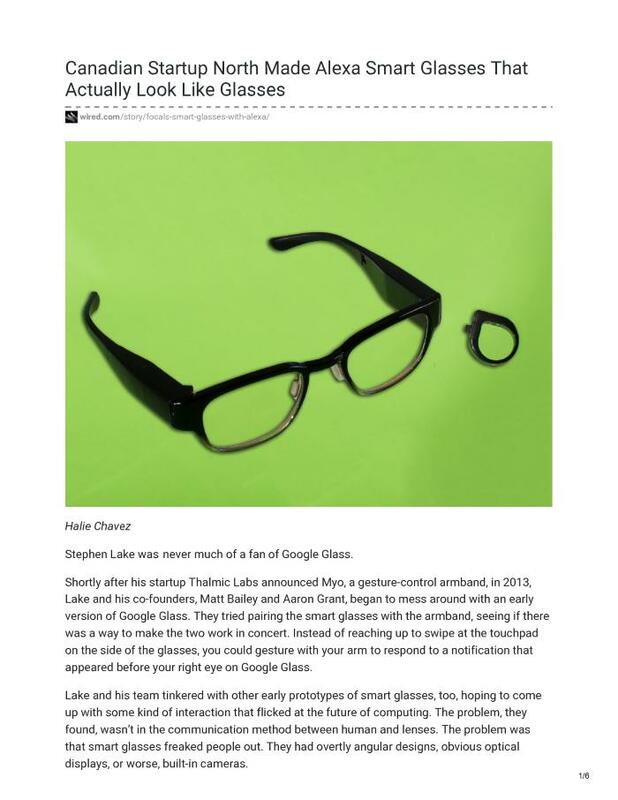 Instead of reaching up to swipe at the touchpad on the side of the glasses, you could gesture with your arm to respond to a notification that appeared before your right eye on Google Glass.